I am a native Oregonian and have always loved and appreciated the beauty of the Pacific NW (this even includes the rain!). I graduated from Pacific University College of Optometry in 2011 and have been practicing in the Northwest ever since. My passion for this profession continues to grow and I couldn’t be more happy to be doing what I love in the city I love. In my free time, I love to travel, try new food and restaurants in Portland, or spend time with my wonderful husband and baby boy. Even though I have lived in the NW my whole life there is still so much to see and explore! Dr. O’Halloran is currently an active board member of Oregon Optometric Advocacy Council since 2012 and the Oregon Optometric Public Affairs Council Chair since 2015. 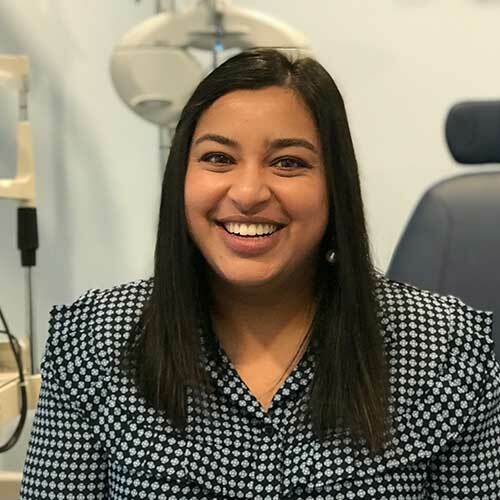 She has served as the Oregon Optometric Physicians Liaison for Pacific University College of Optometry from 2009-2011 and she has also been a member of the American Optometric Association and Oregon Optometric Physicians Association since 2007. She has also participated in a non-profit organization, traveling overseas, providing quality vision care to under-served people.